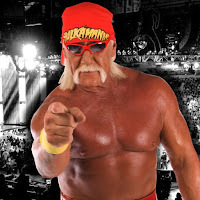 There have been some rumors spreading online that Hulk Hogan is in Phoenix for Sunday's Royal Rumble pay-per-view. That's not true, as he will meeting with fans and signing autographs in Friendswood, TX today from 3:00 pm - 4:00 pm CST. There is also a rumor making the rounds that suggests that Roman Reigns will make a surprise appearance at the Rumble. Mike Johnson shut down this rumor in a PWInsider audio update.